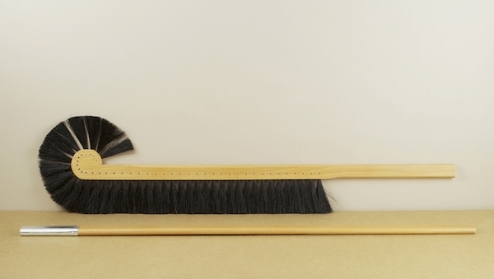 A narrow long reach brush for cleaning around and behind all kinds of cabinets and deep shelves. The rounded end helps prevent accidental knocks and damage. Waxed beechwood, horsehair. Made in Germany using traditional methods, by a long-established family-run company. Approximately 148cm by 19cm by 1.5cm.